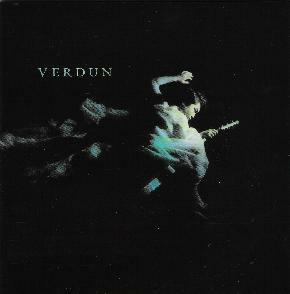 Verdun are termed as Prog Rock/Art Rock/World Music, and their compositions are indeed earthy and they certainly do blend cultural and musical styles. The line-up consists of Neal Barnard: Guitar, Keyboards and Vocals. Martha Roebuck: Vocals. Ngoc Hoang: Vocals and mike Stefina: Drums, and together they play an almost spiritual music that soothes and New Ageifies you with the beauty of both vocalists. Verdun are joined by a handful of other musicians that would be weary for me to name at the moment, but I’m sure they will all get a mention later somewhere. The interesting thing about this band is that the two female vocalists sing each in their respected language of English and Vietnamese, which makes a beautiful union and collaboration of culture. The musicianship is good and the sound is perfect, yet why do I not really like it? The reason I guess is that it is a bit too wishy washy, and a bit too commercial pap lash for me. It borders on classical music in places, sort of operatic in essence and far too bland and staged for me sadly. I have to say that there is a cover of Hendrix’s Purple Haze on here, which to me is disastrous because I did not like it in the original, but we all have our opinions I suppose, and mine is rather slanted in the against position. On the plus side there is a lot of good music and vocal talent going on, and I must admit that I like the first track, ‘Dream of a Black Horse’, the best, but I still have to criticize it for the lack of guitar power and lack of delay or sustain. God bless them they try, and I know for a fact that people will like them. The music is under the category of Prog Rock/Art Rock/World Music, so that is a basis for the explanation because I actually hear all three genres. I love certain World Music but I am not a big fan of Prog and I guess that this is very Prog like as it is progressive and too nice. I will say that both vocalists have beautiful voices and they sit very well side by side and create a definite atmosphere, so it is not all forlorn. It just leaves me with nothing more to say, but sorry to Jon Best, Bob Gray, Viet (Bau) Nguyen, Carter Melin and Sam Dorsey for not really mentioning you all. For more information you can visit the Verdun web site at: http://www.VerdunMusic.com.